Commitment is a tricky concept, what with all its various interpretations and implications. Luckily jewellery that symbolises commitment is not that hard to define. No, we don’t mean the Wedding Ring or the Engagement Ring, we’re talking about their breezier, sleeker, younger cousin – the Promise Ring. It’s the ‘in-between’ ring, the ring that represents the invigorating new rush of love, a stepping stone from where great many love stories unfold. 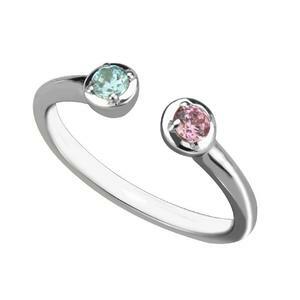 A promise ring is a pre-engagement ring in the context of a romantic relationship. 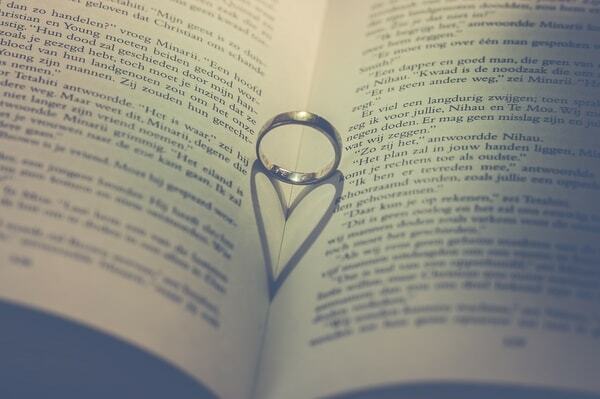 In most cases, promise rings can be given when a couple has been dating from six months to a year. It solidifies the current status of their relationship and corroborates the fact that it might be heading to the next stage, i.e. going steady, a live-in arrangement, a formal engagement or even marriage. Exchanging promise rings is synonymous to going official without the bonhomie and rituals of a traditional engagement. But a promise ring is not a way to set things in stone. Many couples who give promise rings don’t end up getting married and may even part ways before consecrating a lifelong commitment. Are Promise Rings Only For Couples? The answer is No. 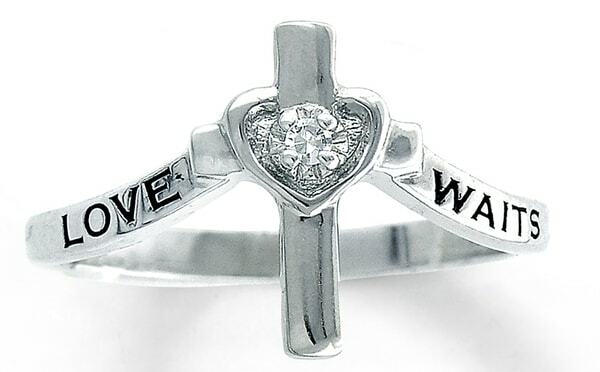 A promise ring can be given for different reasons and it can have any number of recipients and wearers. 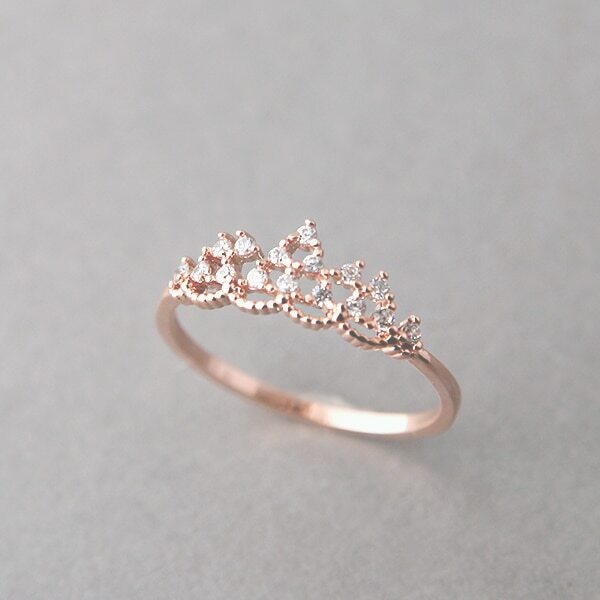 Essentially, it is a ring that signifies or symbolises a promise. So it can be exchanged between best friends, or it can serve as a common symbol for a group of people with a particular affiliation or a cause, e.g starseed believers or sorority members. 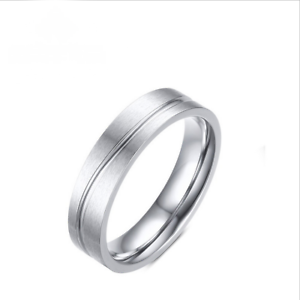 You can even gift yourself a promise ring as a reminder of a promise you made to yourself, i.e a promise to stop smoking or drinking, or a gentle push to achieve a much cherished goal. A popular variant of a promise ring is the purity ring or the chastity ring, which signifies a vow to practise abstinence until marriage. They represent the notion of ‘true love is worth the wait’. Women (and sometimes men) have often stated that the purity ring wards off the frogs that are not likely to turn into their prince charming, their ‘one true love’. These picked up mainstream hype when they were worn by Jonas Brothers, Jordin Sparks, Teyana Taylor and Miley Cyrus. Pop icons like Selena Gomez, Demi Lovato and veteran Jessica Simpson have known to wear purity rings in the past. They are regularly popularised each time the purity movement raises its head. 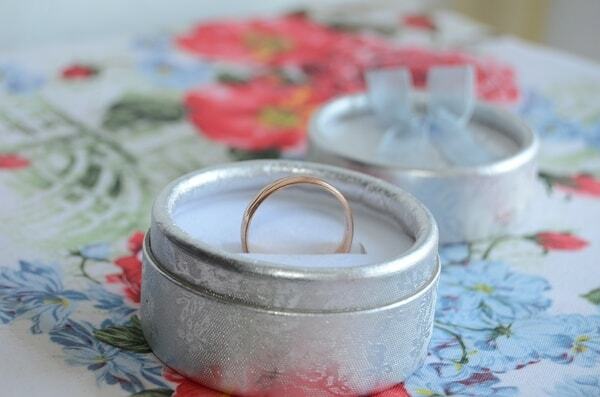 Often parents gift their children purity rings which are blessed by religious authorities. What Does A Promise Ring Signify? What Are The Origins Of Promise Ring? There are several origin stories of the promise ring. Some claim that it started as far back as the biblical times. It is believed that when the Pope in the 13th century set apart a mandatory period between betrothal and wedding, the tradition of promise ring and engagement rings began. The trend regained ground in the 16th century when young men wanted to declare their love for their beloved but couldn’t afford to get married straight away. In their 16th to 17th century versions, they were etched with romantic verses and poems. In 1970s promise rings found a place in the jewellery dictionary. 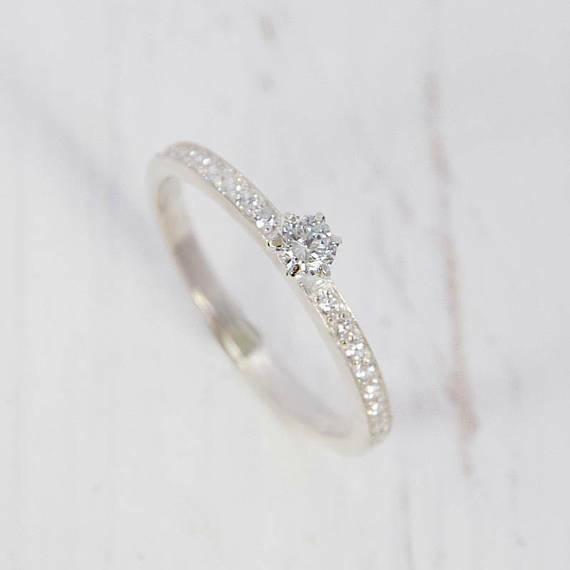 That said, for those who are inclined to be ‘in the moment’ at all times, the promise ring makes a good substitute for an engagement ring as it brings an ephemeral sense of commitment, leaving the future to take shape on its own. Nevertheless, rules don’t always apply when it comes to giving promise rings. If you feel that you’re ready for exclusivity at any stage of your relationship, a promise ring is the right step to take. How Should A Promise Ring Be Given? Usually, couples discuss getting his and hers promise rings together. Although, if you want to surprise him/her by giving it as a gift on a birthday, anniversary day or Valentine’s Day Gifts, make sure you explain that it is a promise ring and not an engagement ring, i.e. don’t raise someone’s expectations. Pair the ring with a romantic/explanatory note. Conversely, if you’re unsure of how your partner really feels, don’t get a promise ring right away, it sends a direct message that you are ready for a ‘promise’ while they may not have reached that stage yet. How Much Should You Spend On A Promise Ring? Promise rings are not heavily embellished or elaborate since they are not supposed to look and feel like an engagement or wedding ring. In fact, they are also a lot daintier and minimal when compared to an engagement ring. So spend as much as you would on a regular gift for a loved one or as much as your budget allows. 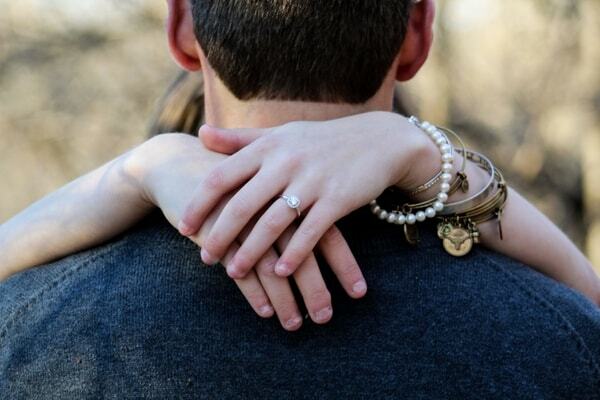 How Should A Promise Ring Be Worn? It is normally worn on the ring finger of the left hand. It is later replaced by the engagement or a wedding ring, at which point it can be worn on any finger. 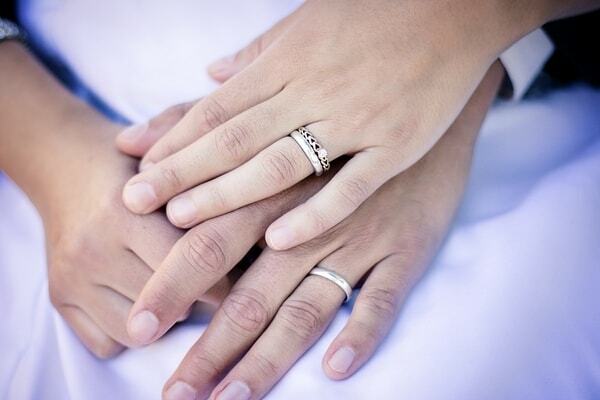 If you’re married and wear a wedding ring, you can wear it on the ring finger of the right hand. From slender to intricate, customised to thematic, you will find an extensive range of promise rings to choose from. We’ve listed some styles to help you get started. 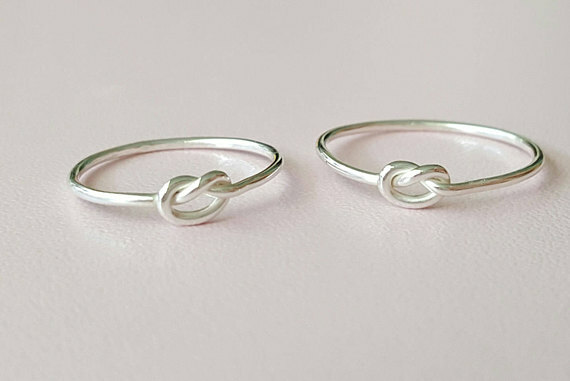 These are matching promise rings that you can get together as a couple. 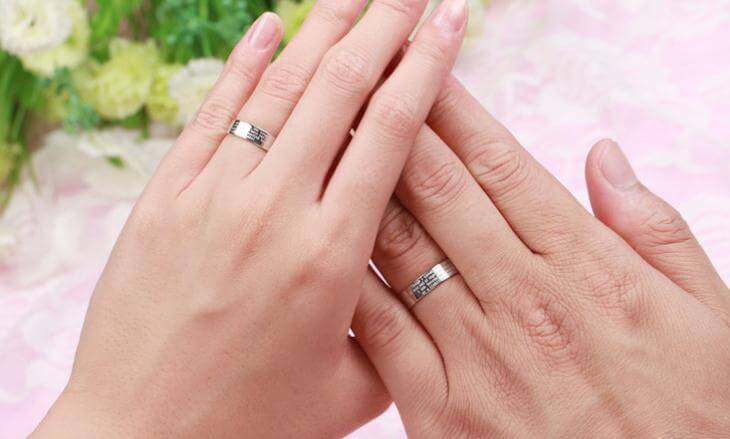 The popular options are designs that shows ‘twos’ of something, like two intertwined hearts, hearts on infinity, his and hers sleek bands with engravings, puzzle couple rings, and more. The metal that sets the promise ring apart from an engagement ring. 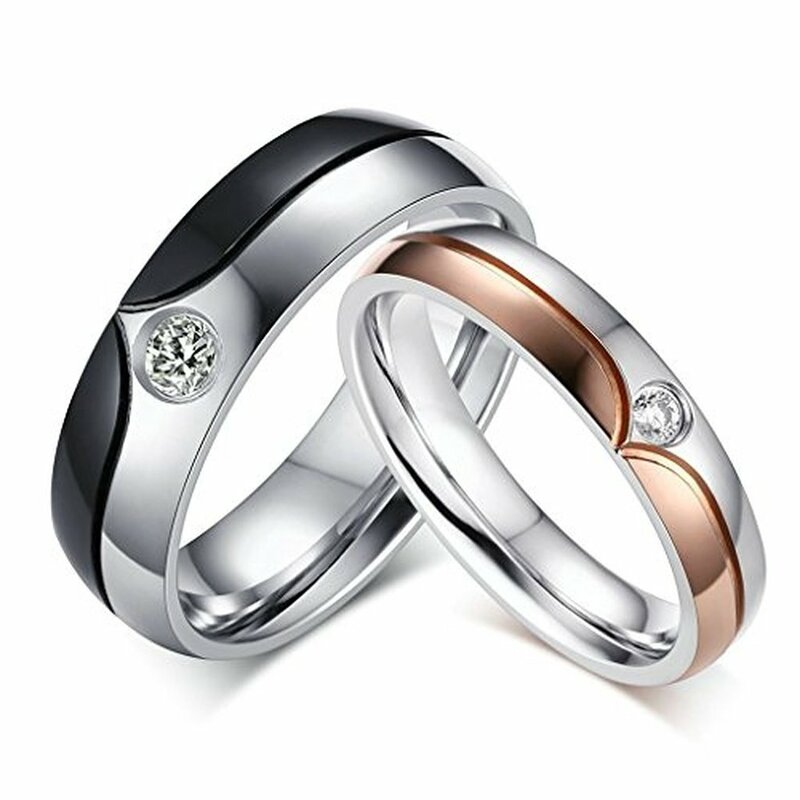 Most couples prefer to buy a sterling silver promise ring so that the implications of an engagement or a wedding ring are brushed aside. If you want to elevate the relationship to a step higher than silver, go for rose gold. Usually due to the levity that promise rings connote, they are available in 10k gold. A tiara or a princess crown is a popular design choice. If the man you’re getting a promise ring for isn’t really a fan of jewellery, get him something simple, that reminds him of you and is not over the top. 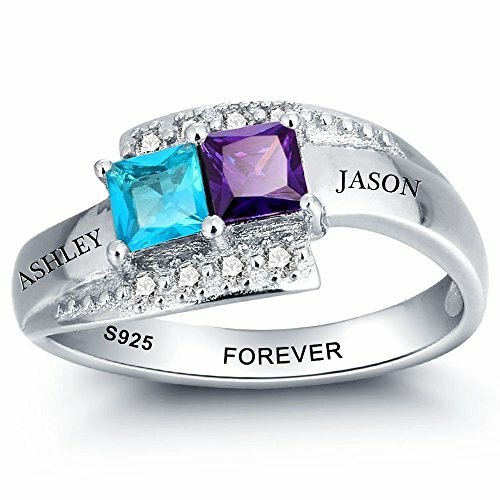 Adding more than just a personal touch, personalised promise rings can be engraved with each other’s fingerprints, anniversary date, a message of love or a shared symbol of love, such as infinity signs or heartbeat on ekg (normal sinus rhythm), each other’s initials, or just about anything that is a reflection of your bond. 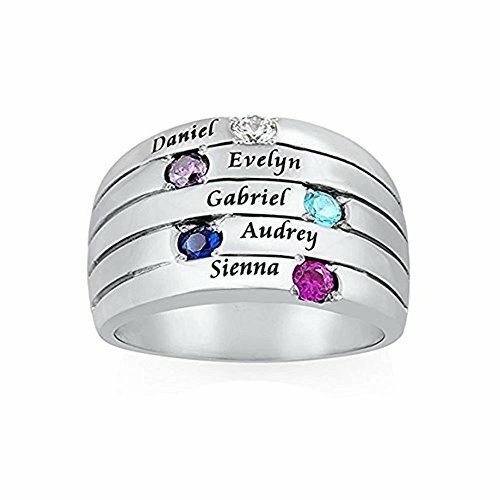 Popular with friends groups, siblings or parents who want their spouse’s and children’s names on their person. These rings are a version of the personalised promise ring but celebrate the relationship between more than just two people. If there is a special someone you’d like to promise yourself to, use our comprehensive guide to plan your gift. You’d be amazed at how rewarding the experience will be. Leave comments below. Great info. I’ve always wondered what does a promise ring signify and used to think they were purity rings. Do you think it’s appropriate for a dating anniversary? Yup, standard Venn diagram stuff – a purity ring is just a type of promise ring. And YES! 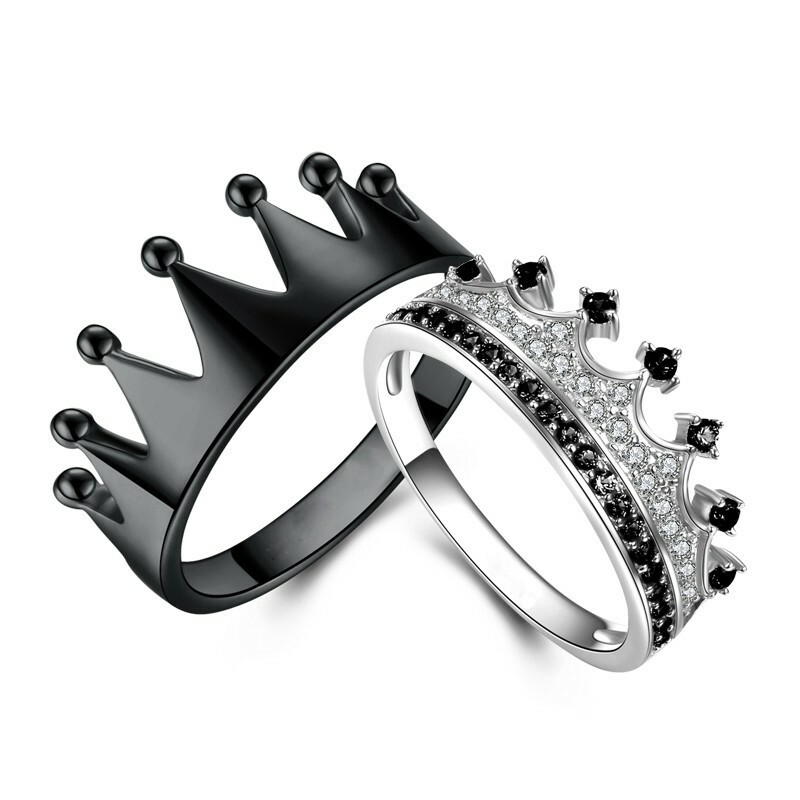 Promise rings are perfect anniversary gifts to celebrate the commitment to your SO. In my opinion, it’s really hard to define a promise ring – it symbolises some sort of commitment, yes, but cheaper versions are often exchanged by teens in the throes of romance. Hi there, that’s true. A promise ring’s commitment quotient is ambiguous but that’s the beauty of it. It symbolises your relationship at that time and can be anything you want it to be – and hopefully your partner is on the same page! How long should you wait to give a promise ring? There are no timelines when it comes to gifting a promise ring. Go with your heart – after all, it is a gift representing love! Is a pre-engagement ring a promise ring? It could be. A promise ring can signify anything from making your relationship ‘official’, to renewing vows or being a token of love and commitment. they come in different price ranges and are gifted between teens to those married for decades.